If you enjoy spending a day out in the wind, cruising around to test your skills under sail, you will love this 2010 Grand Soleil 37R. 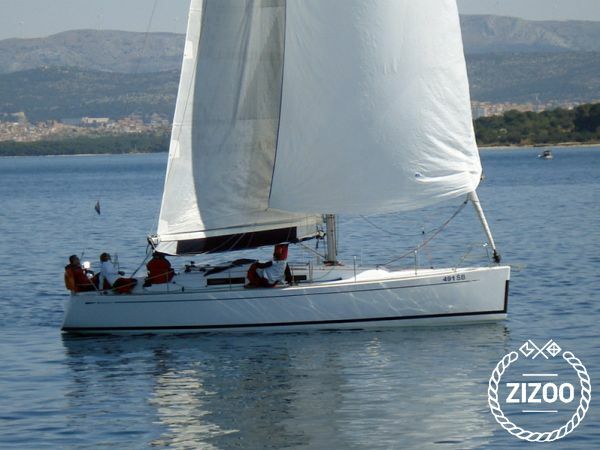 Built for making the most out of being out at sea, combined with maximum comfort, this sporty but extremely comfortable girl will give you a fantastic fun-and-sun filled holiday. Pick her up from your base Sibenik, a great starting point to explore Central Adriatic and its hundreds of islands of all shapes and sizes. Before you set off, have a wonder around the streets of Sibenik, the beautiful old town will not leave you indifferent. Vodice is also great for night life if your crew enjoy a good night out dancing, and for quieter places any of the nearby islands will make an excellent choice. Throw in some great local food and wine, and you could not make it a better holiday! Von der Buichung bis zum Checkin alles entspannt. Waren sehr zufrieden mit dem Boot.